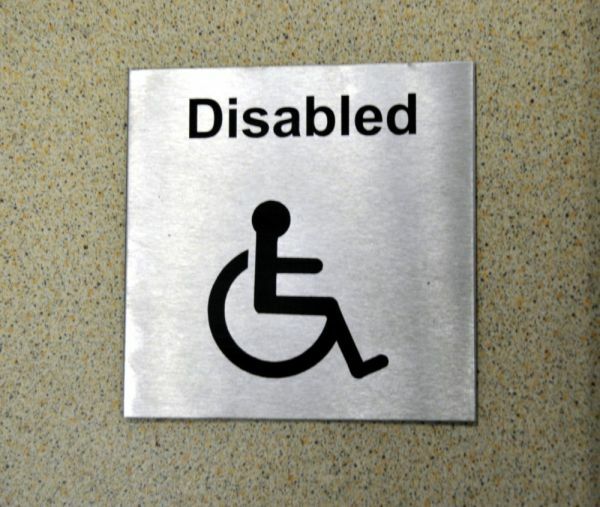 Stainless Steel Disabled Toilet sign, approx 120mm x 120mm x 1.5mm. Image and text is laser engraved, burning the steel to leave a durable matt black letter. Stainless Steel Disabled Signs can be supplied with screws or self-adhesive backing. Our St/Steel Toilet Signs are manufactured from 316 (marine) grade. This Stainless Steel is an extremely durable material that is resistant to scratching, it will not tarnish or rust and requires minimal maintenance.